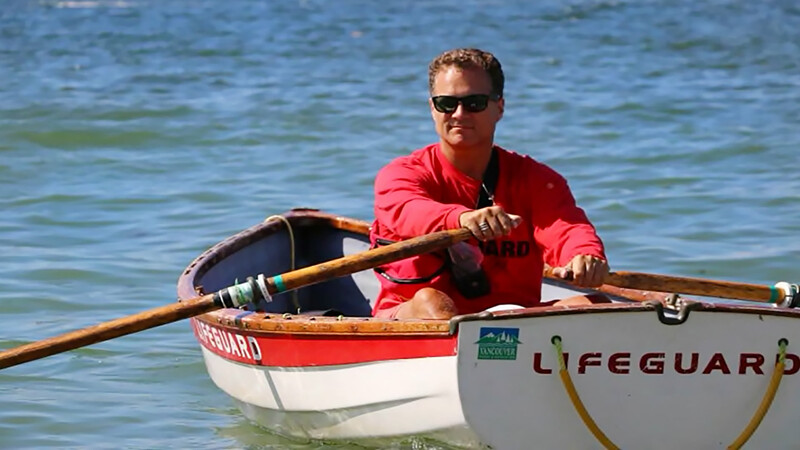 The Race to Alaska (R2AK), a 750-mile (1,200 kilometer) race allowing only human and wind power, no engines, through the frigid waters of the Pacific Northwest is made up of two legs. Leg 1 is called the Proving Ground, from Port Townsend WA to Victoria B.C. right across the Strait of Juan de Fuca, crossing shipping lanes, intense tides, and a hefty debris path. You have 36 hours to complete Leg 1 and if you are unable to make it across in this time, you won’t be continuing on to the final destination of Ketchikan, Alaska. 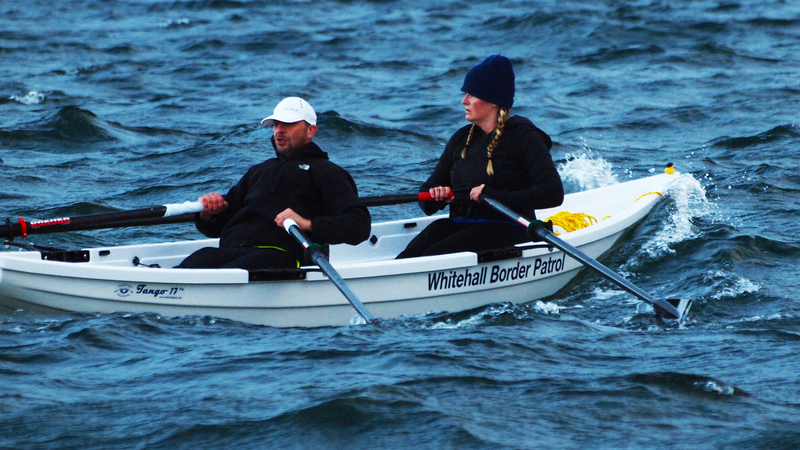 Since the race began 4 years ago, Diana Lesieur and her rowing partner Peter Vogel have rowed Leg 1 of the R2AK in their Whitehall Spirit® Tango 17, Whitehall Border Patrol. This year they also entered a brand new race known as ‘The Spawn of R2AK’, The Seventy48. 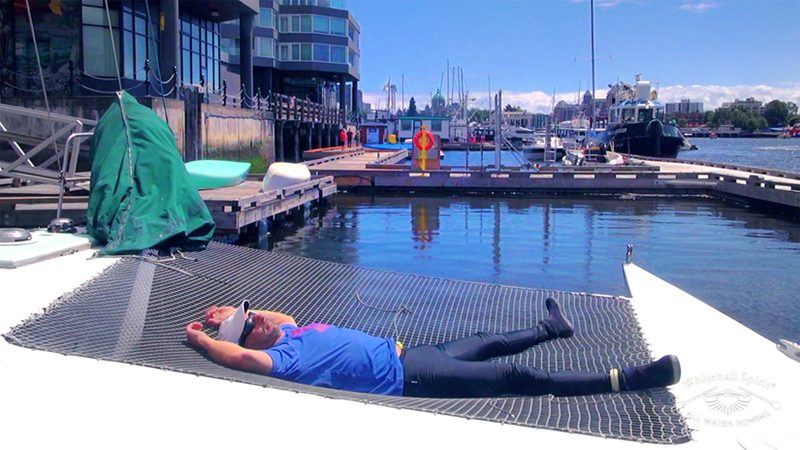 The Seventy48 is a seventy-mile race from Tacoma WA to Port Townsend WA that racers have only 48 hours to complete. 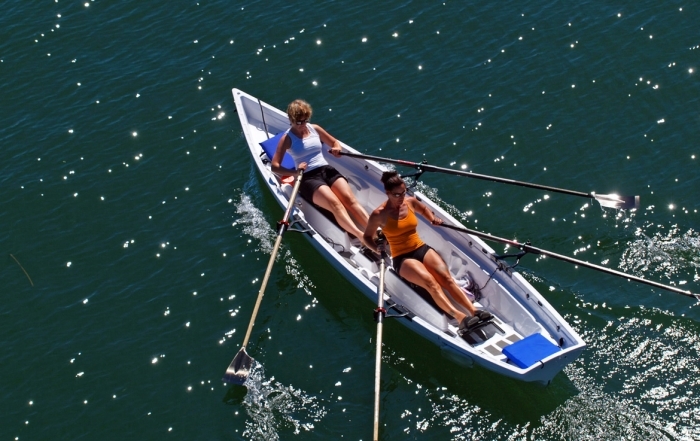 The Seventy48 is completely human powered, no sails, no engines, just human endurance. 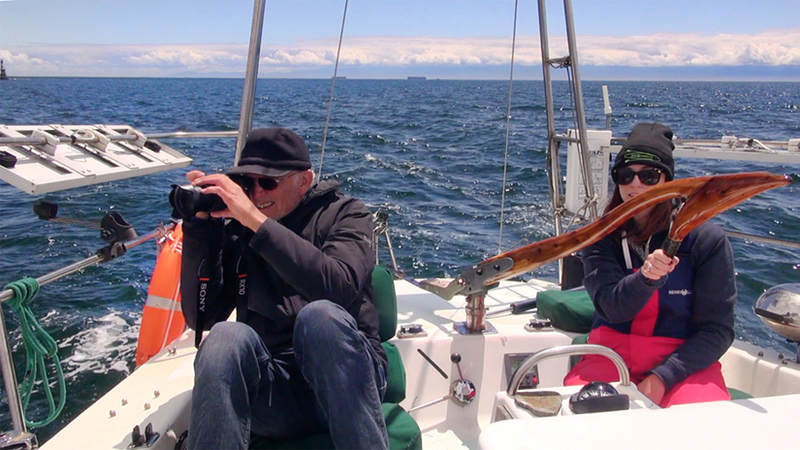 Read about Diana and Peter’s experience in the Seventy48 and watch the video here. 2015, the first year of the R2AK, was labeled as the worst for Leg 1. 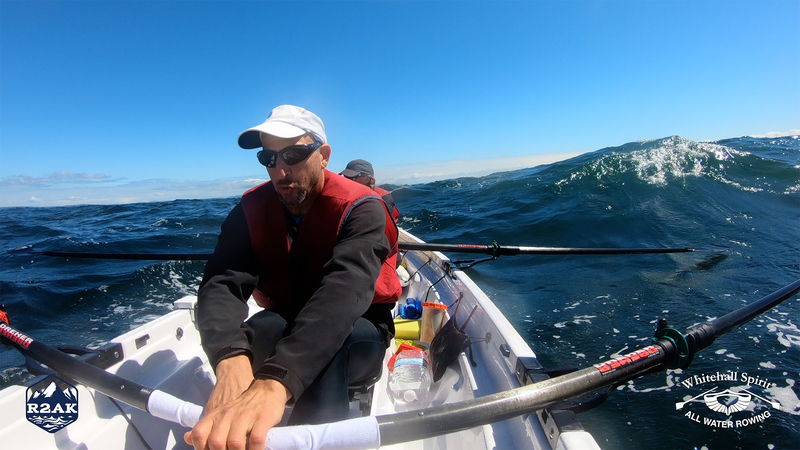 The cold, gale force winds, high waves and notorious tide rips made the crossing hazardous and draining. 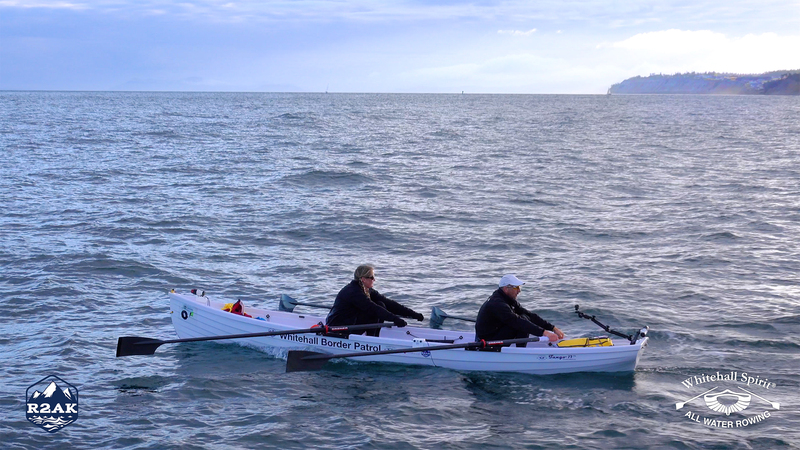 Nevertheless, Diana and Peter completed the crossing in 10 hours. 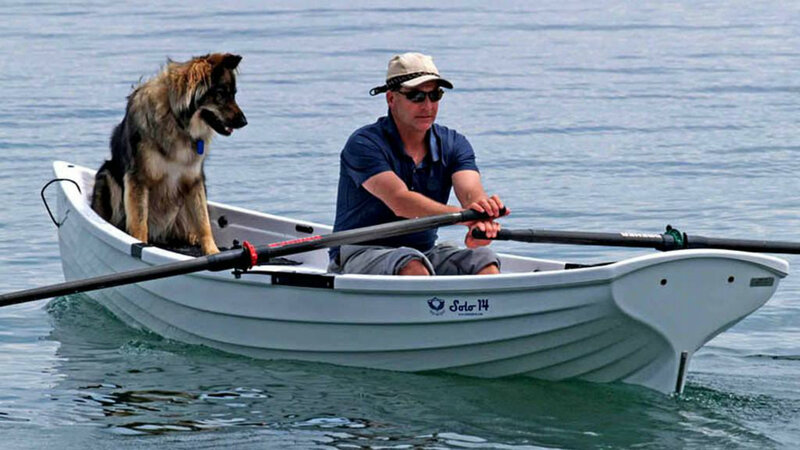 The following two years were much more mild, and Diana and Peter were starting to feel less challenged by Leg 1. 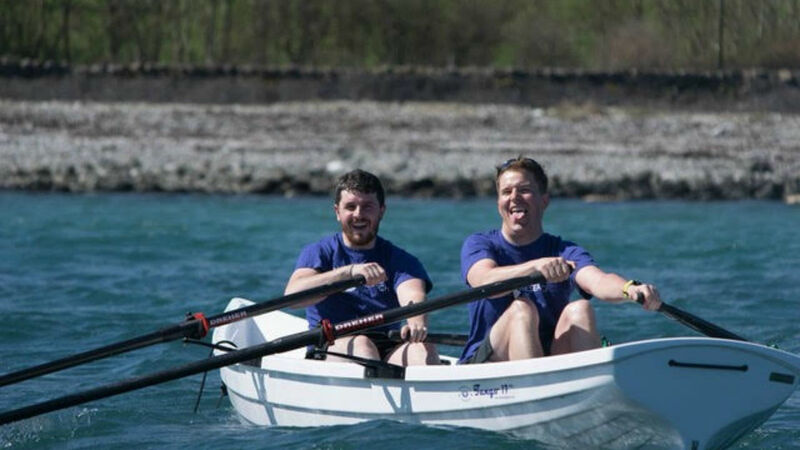 The sunny skies and warm weather forecast for June 14th 2018 led them to believe this year would be another easy row and stood no chance of competing with year one’s title as the most dangerous crossing. They were wrong. As they approached Victoria harbour, some of us from HQ headed out on the trimaran Physis to meet them. 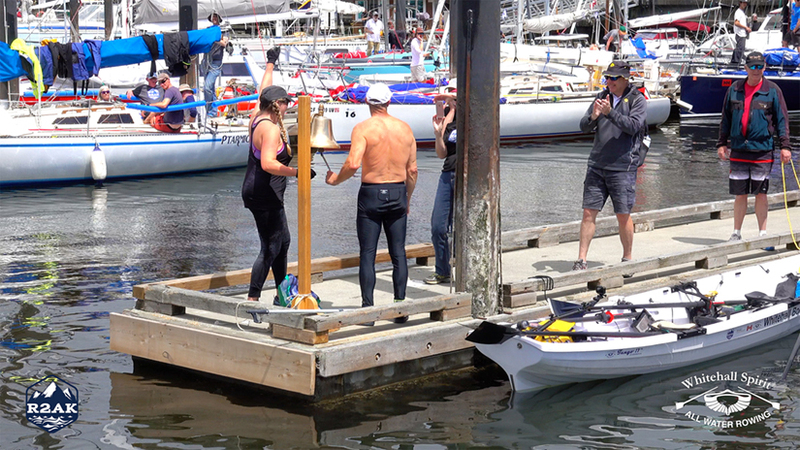 We were able to get some great shots of the final moments of their race and the moment of triumph when Peter and Diana got to ring the bell, sounding their victory across Victoria harbour, making the crossing in 8.5 hours! The final Leg 1 racer was in by 4:30 the next day (cutting the deadline to cross the finish line very tight! 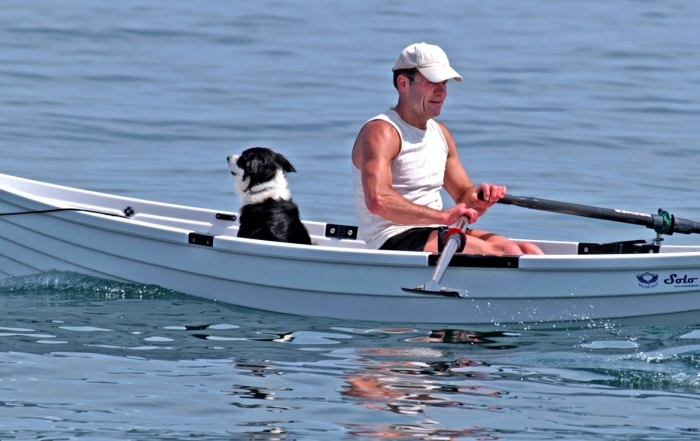 ), just in time for the Leg 2 party hosted by Whitehall Rowing & Sail! The Canadian Coast Guard kicked things off with a very vital (and necessarily terrifying) seminar on the dangers these rowers, paddlers, and sailors were about to undertake, then we turned down the lights, the band ‘Paradise Street’ fired up and the drinks were flowing! 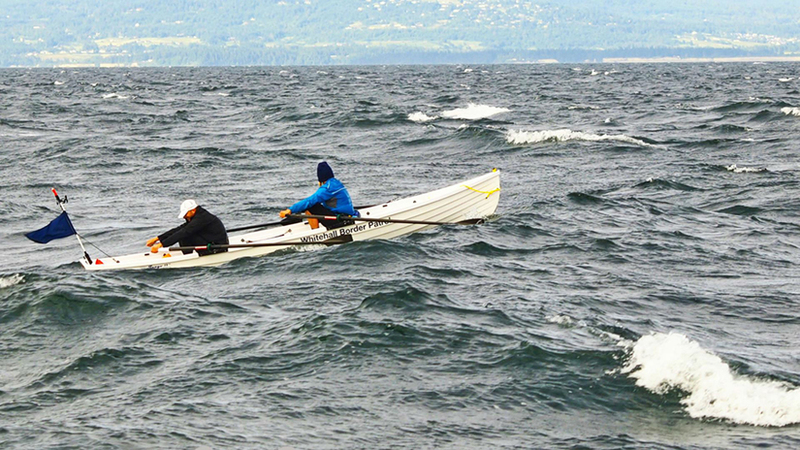 The R2AK is an amazing achievement and completing Leg 1 is an accomplishment in itself. 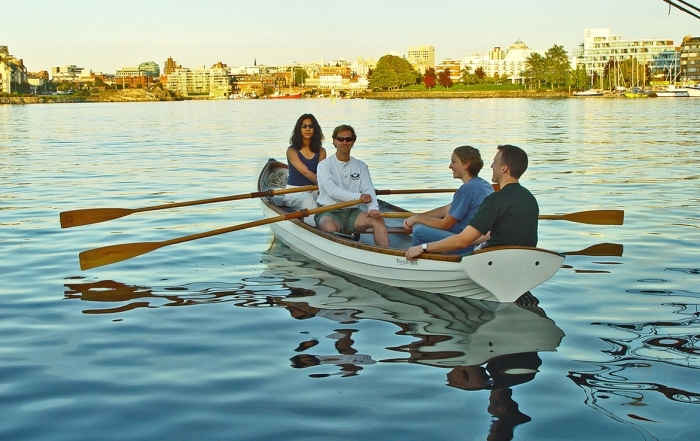 The racers who are hoping to go the distance streamed out of Victoria harbour at noon on Sunday the 17th and are now headed north! The winner gets $10,000, purportedly nailed to a tree in Ketchikan, AK. Second place is a set of steak knives, and the rest of the finishers get the glory of completing one of the most notorious race courses anywhere in the world, all with only human and/or wind power. You can follow their progress and enjoy the videos and images on the R2AK website. Peter resting after a successful race! The question is, would you Race to Alaska?